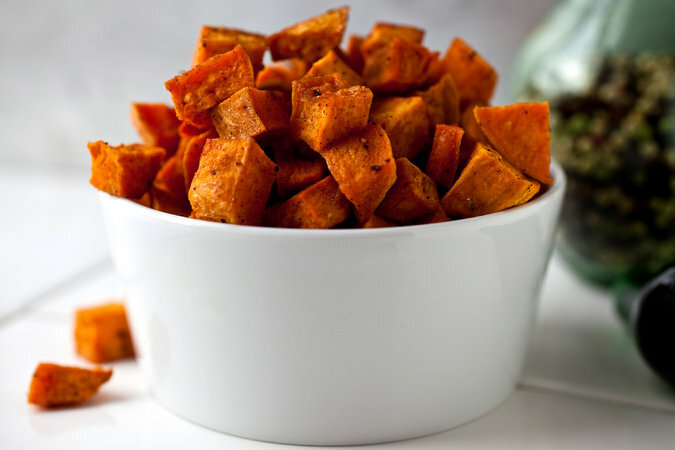 Here, coconut oil deepens the natural caramelized flavor of roasted sweet potatoes, and it adds a delicate coconut essence. Nutmeg sweetens the dish, and a dash of black pepper makes it for adults. It's just delicious. Heat oven to 350 degrees. Melt the coconut oil in a small saucepan over low heat. In a large bowl, toss together potatoes, coconut oil, salt, pepper and nutmeg. Spread the potatoes in an even layer on a large baking sheet. Roast, tossing occasionally, until soft and caramelized, about 1 hour.